Liverpool and Bayern Munich are “favourites” to sign Timo Werner from RB Leipzig in the summer, according to the Daily Mail. The newspaper claims that the Merseyside club has been put on “red alert” after Leipzig CEO Oliver Mintzlaff confirmed the “highly-rated” forward is unlikely to extend his deal at the Bundesliga side. “We want to extend it with him, but he has signalled to us that he would rather not extend,” Mintzlaff told Sky Germany, as quoted by the Mail. Werner will enter the final year of his current contract in the summer, and it is understood that he wants to quit Leipzig with his heart set on a move away from them in the “near future”. Werner has been constantly linked with Liverpool over the last few years, and it seems as though the upcoming summer transfer window might be Jurgen Klopp’s best chance of signing the Germany international. Werner has scored 17 goals in 31 appearances across all competitions for RB Leipzig this season. He has great pace, killer instincts inside the box and could really fit into the squad at Anfield. Liverpool might be able to sign him one a cut-price deal in the summer due to him not wanting to sign a new contract. The Mail says that RB Leipzig would rather keep hold of the centre-forward, but might be forced to cash in on him due to his stance on a new deal. 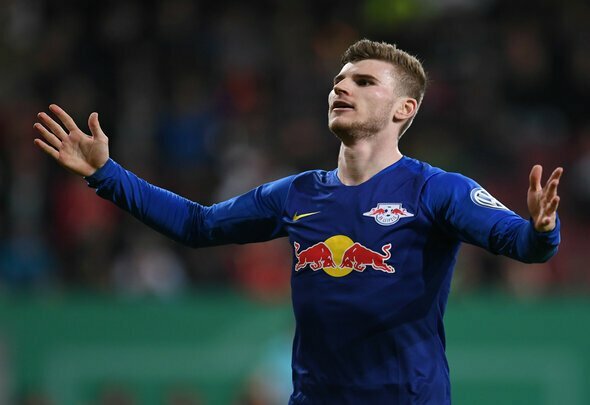 It is surely music to the ears of those at Liverpool, but do not expect them to be the only club chasing Werner in the summer. Bayern Munich also appear to have a good chance of snapping up the 23-year-old while Real Madrid are also linked.